Social media automation can save you tons of time, work, and resources for your daily chores of managing your social media channel. 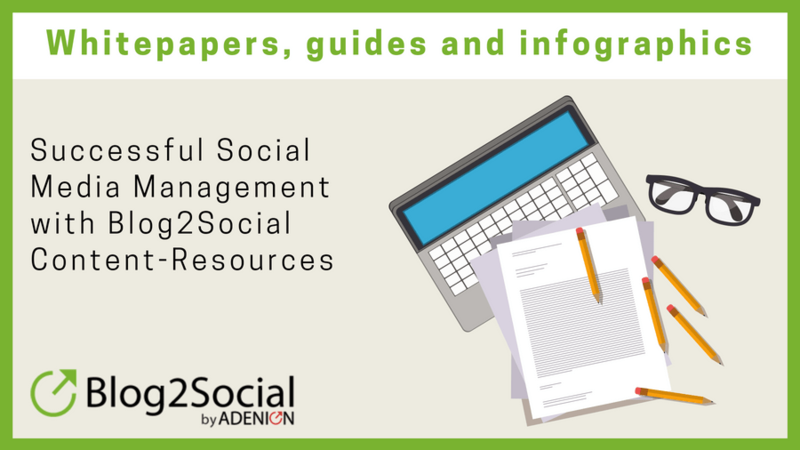 The benefits multiply if you have to manage multiple social channels. Social media automation tools promise to do all the work for you. But don’t get trapped by the convenience. If you let yourself get carried away by the benefits of getting too lazy, automation can also backfire on you and crash your reputation. 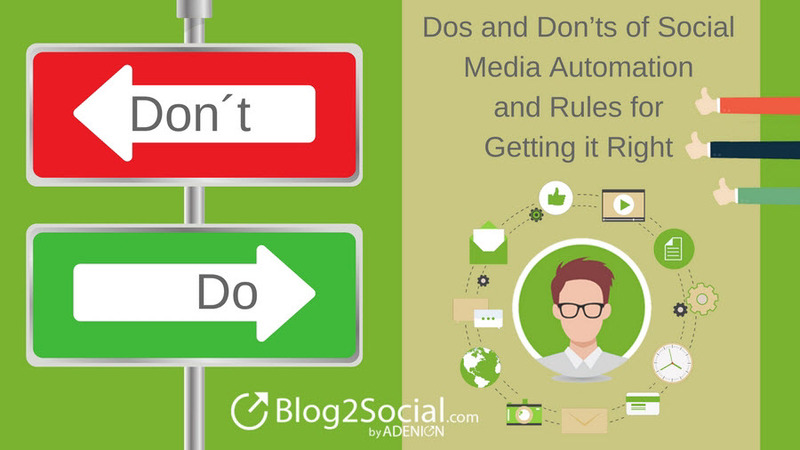 If you neglect the unwritten rules of the social web, automation will turn your feeds into lifeless content streams and drive away your follower.After having explored the Pros and Cons of Social Media Automation, let’s have a look at the Dos and Don’ts, in order to unleash the power of social media automation and avoid the pitfalls. 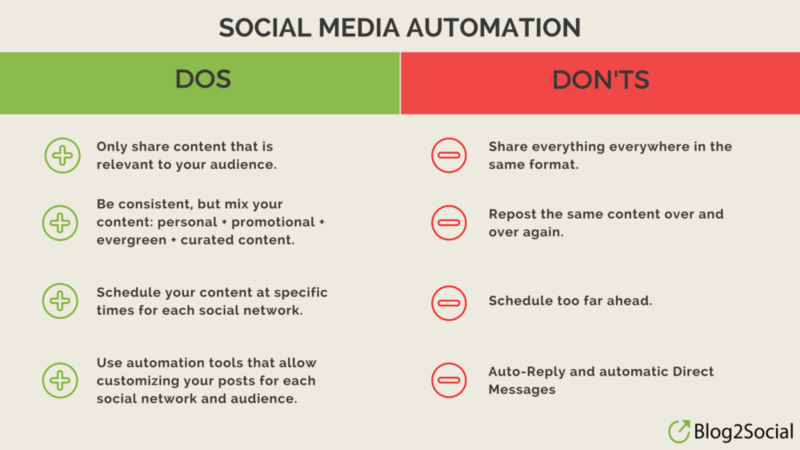 How to get Social Media Automation right? Social media automation can help you to ensure a consistent flow of fresh content on your social feeds. However, the convenience, keep a close eye on what you share, where you share and how you share and don’t let yourself be tempted to share everything everywhere. Only share content that is highly relevant to your audience and the specific communities of each social channel. Don’t share blind. 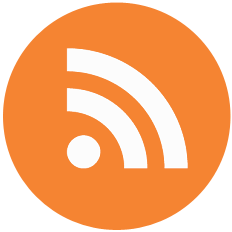 A popular way of keeping a consistent flow of fresh content on your social feeds is to send out imported RSS-Feeds directly to your social accounts. But this strategy can backfire on your credibility and reputation. If you send out articles you or your teams haven’t reviewed, you risk providing content of poor quality or low relevancy for your audience. If you don’t monitor the impact of your posts, your channel will lose credibility and drive away your followers. Always review the posts you share and check the relevancy of content for your community. Social media automation makes it easy to re-share your posts without lifting a finger. But don’t be tempted by the convenience to turn your posts into lifeless robotic streams of boring, repetitive posts. You can re-share your evergreen content over a couple of months, but don’t post the same content over and over again. Always mix your “promotional” content with personal statements and curated content from other sources to offer an inspiring variety of relevant, fun and helpful posts for your audience. 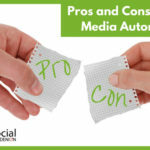 Social media automation allows you to publish your content at specific times. 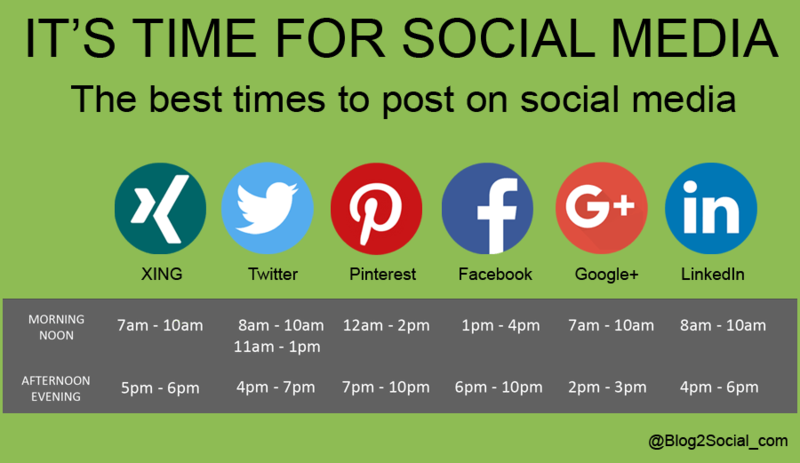 Take a look at the best times to post on each network for maximum visibility and reach. Each network has its own ‘rush hour’ when communities are most active. For example, on Twitter and LinkedIn the highest interaction rate is found during the day, while on Facebook, Instagram, and Pinterest users are most active in the evening and at the weekend. Make sure your social media automation strategy allows you to post at the best time for each network so you can reach more of your potential audience. If you don’t know where to start, take a look at current research on the best times to post on social media and the best frequency to post. Scheduling your posts is an excellent way to maintain a consistent stream of content across multiple social media platforms. Plus, it allows you to post even when you’re offline, outside of office hours, and also during weekends, holidays and vacations. Nevertheless, be careful not to schedule your content too far in advance. Keep your scheduling plan with a monthly frame and always leave space for news and current events. When you schedule too far ahead, it’s easy to lose track of what you’ve planned, plus current events can make your content look out-dated or misplaced. Don’t shoot and forget. Always keep track of your scheduled posts. 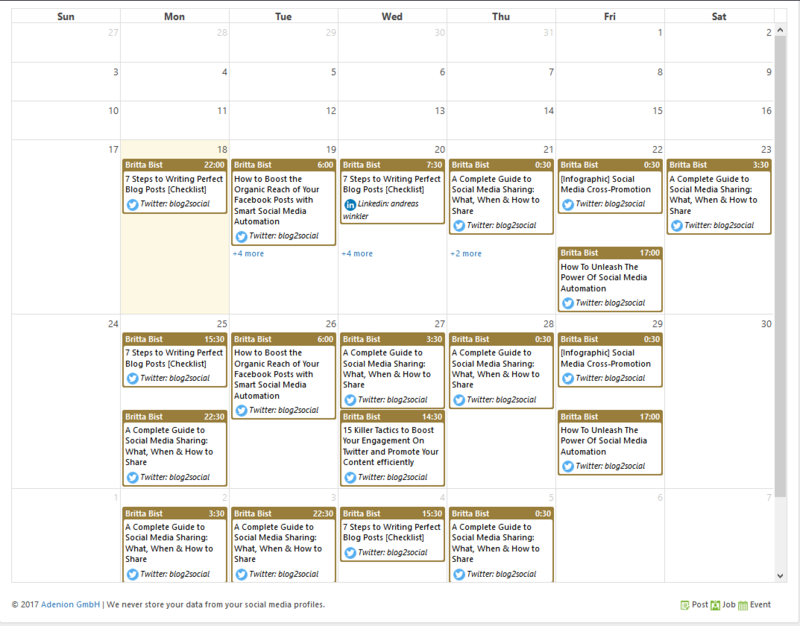 Look out for social media tools with calendar features to help you keep an overview of your scheduled posts and let you adjust and re-schedule your posts as needed. Every social network is different. 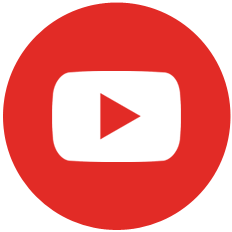 Each network provides different options to present and promote your content. And every community reacts differently to specific contents and formats. The number of characters for posts or comments. 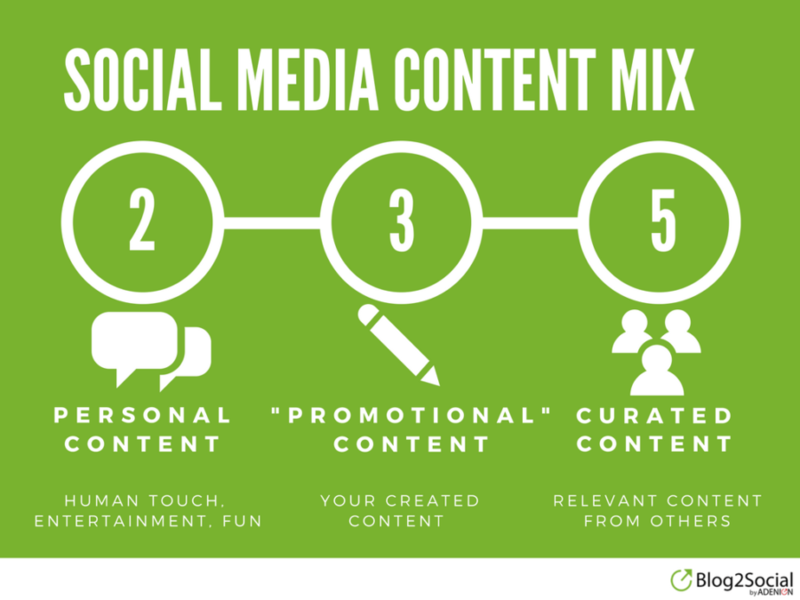 If you share your content across multiple social platforms and communities don’t be tempted to push the same content in the same form to each and every social channel as a matter of one size fits all. Consider the 280-character-limit on Twitter and the near no-limit characters on Facebook. There is also a difference in what works best on Twitter and what works best on Facebook to boost your organic reach. Hashtags work fine on Twitter, Instagram, and Google+, but they don’t perform on Facebook. 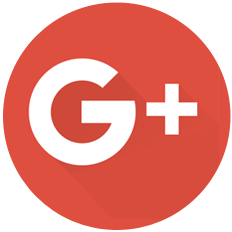 Facebook users love short comments, whereas Google+ users interact better with longer comments. Look at the social media platforms, communities, and options each network provides. 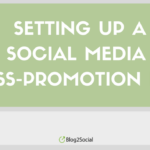 Don’t cross-post, cross-promote on social media. Make a list of what works best for you on each network and set up your social media cross-promotion plan. However, most social media automation tools send out posts in the same format to every social platform. But, poorly formatted posts without personal comments don’t get much visibility and traction on social media. So, look out for social media automation tools that make it easy for you to tailor your posts to each network and community. This will still save you a lot of time and work for manual tasks of scheduling and sharing your posts on each network. Social media is all about communication and interaction with your audience. However tempting, don’t make auto-reply and automatic DMs part of your social media automation strategy. Social media users are the savviest audience you can get and they know that these messages are non-human. Automated replies are very unlikely to get any interaction with your community. In most cases, automatic messages are regarded as spammy and annoying. So don’t be tempted by the convenience. Instead, stay human and always respond personally to interaction and comments from your community. The most obvious benefit of social media automation is the time you can save. Social media tools provide you with multiple features to schedule your posts and automatically share your content on multiple social platforms. However convenient, don’t cross-post, but cross-promote on social media. Use social media tools to save time for routine work of scheduling and sharing, but keep a human touch in your social media strategy. With the right tools, you will be able to unleash the power of smart social media automation and still save tons of time. The time you can use to create valuable content and build meaningful relationships through real conversation with your social media audience.